Did you know that 91% of people notice words and pictures on truck fleet vehicles, according to a survey by the American Trucking Association. 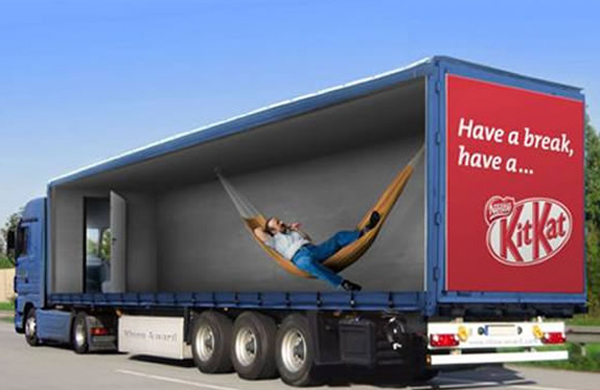 96% said truck-side ads have more impact than those on a static billboard. Hot Line Moving Billboards offers truck advertising with over 300 semi-trucks traveling the interstates and roads in your target market areas. What Makes Moving Billboards A Better Buy Than Static Billboards? Hot Line Moving Billboards have a couple of advantages over traditional static billboards by the highway. First, it’s very inexpensive, with CPMs typically $2 or less. Plus, moving billboard ads are visible for a longer time than billboards, which drivers speed past at 65 miles per hour. Hot Line Moving Billboards lead time is typically three to four weeks. Hot Line trucks are equipped with GPS devices that provide data on where the truck is and when it is there. This data is combined with road traffic data from the Traffic Audit Bureau to estimate impressions. Like billboards, moving billboards on Hot Line semi trailers reach mass audiences, so the demographics will be be equivalent with those of each individual market you are targeting. Yes! I would like to learn more about Hot Line Moving Billboards! Fill out the online form, and a Hot Line Moving Billboard specialist will contact you and provide you a customized proposal.